(vii) any detail relating to the above clauses as provided to body corporate for providing service; and any of the information received under above clauses by body corporate for processing, stored or processed under lawful contract or otherwise. (ii) Registered Account Information: User ID, Password. (vi) Credit card (or) debit card (or) Net Banking information which is required for payment purposes. (vii) Demographic information such as postcode, preferences and interests. (iii) Phone Number: Phone number will be an alternative method to contact the customer, should there be any cancellation/modification or for any other matter related to the services to be availed by you. (iv) Address: The address can either be your residential address or official address or the address of the sending party and the address of the receiving party to whom the consignment is transported. Registered address shall only be used to send any written communication like services info, reports, invoices etc. 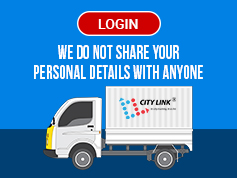 The same shall be provided to the driver of the carrier carrying the consignment in order to deliver the consignment at the location specified by the customer on the Website. (vi) In order to improve the quality of our Services we may ask you to provide us with information regarding your experiences with our services, and more detailed contact preferences. Users have the option of choosing not to provide us with this information. (viii) We may use your information to send you promotional information pertaining to the Services provided by us and/or by our affiliates. 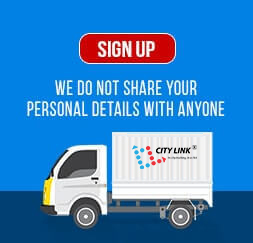 (ix) We reserve the right to ask you, at the time of registration with the Website or thereafter, for documentary proof of your identity or other data or postings provided by you with respect to the registration or otherwise. In the event that you fail to provide us with this information or documentary proof, we reserve the right to refuse registration or to terminate your user agreement immediately and cease to provide any Services to you. 4.1. All financial information that is collected through the Website is used solely to bill for the services availed by the user, and is not used for marketing or promotional purposes. Towards this end, we disclose such information to a third-party intermediary, for the sole purpose of payment processing, which is used to make payments to avail the services on our Website. 5.3. These cookies are intended to be automatically cleared or deleted when the User quits the browser application. You are encouraged to use the “clear cookies” functionality of your browser to ensure such clearing / deletion, since it is impossible for us to guarantee, predict or provide for the behaviour of your system.